If you have made the decision to dedicate a room in your home to becoming your own personal home theater, you want it to be amazing. Comfort, visual appeal, and acoustics should all be taken into consideration so that you can get the most out of your new home theater. What you buy is important to optimizing your home theater, but how you set it up is at least as important, as well. If you are going to be purchasing a brand new television for your home theater, consult experts or do research to make sure that you get exactly what you are looking for. While purchasing the biggest and newest T.V. on the market may seem like the way to go, it may not be right for the size and shape of the room that you will be using. Consulting an expert may help you to pick the perfect size and type of television for your purposes and install it in the right place to give you the optimal viewing distance. Acoustics are a tricky thing to perfect. The flooring, placement of furniture, and of course type and size of speakers can all have an impact on the audio quality of your home theater. Do your research to select the best speakers for your purpose and the room size, then set them up at the right distance and angle to where you and your guests will be sitting. Online guides may be helpful, but professionals can help you get the sound and look that you want for your home theater. A home theater can have amazing visual and audio quality and be fantastic to gaze upon, but if it is uncomfortable it will sit empty and unused. Home theater seating can be comfortable for sitting and can give everyone in the room the best seat in the house. Consider how carpeting, lighting, side table placement, and other furnishings affect comfort and convenience when setting up the home theater. Automating your home theater can allow you to control many of your home features without having to leave the comfort of your theater seat. Using a Smartphone or other mobile power hub, you can control things like lighting and motorized shades to set the mood for viewing. You can then select your channel or streaming device and adjust the volume to get the party started. 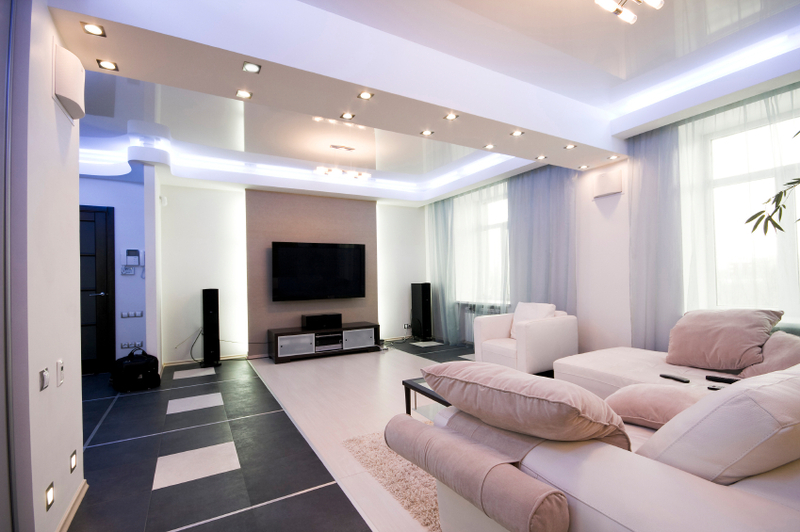 Call us today at 407-314-3963 so that we can help you optimize your home theater!